With over 300 million customers worldwide and given that 1 out of 2 buyers start their product searches on the marketplace, Amazon has become inescapable in consumers’ buying journeys. Find out how to optimise your organic ranking (SEO) on Amazon and increase your chances of acquiring the Buy Box. Why optimise your SEO on Amazon? Amazon sold over 5 billion products last year through their Prime programme. Therefore, working on your product pages’ content is of utmost importance to increase your catalogue’s visibility on the marketplace. One of your goals should be to appear in the marketplace’s search engine results, often consulted by buyers during the buying process. Your products’ positions in the search results depend on how well the text in your titles and descriptions match up, price, product availability, sales history, etc. To top the search engine’s list, you need to use relevant keywords, fill in all available attributes, not just the required ones, have an attractive main visual and a high quality product page. Every retailer’s end goal is to acquire the Buy Box (the ‘Add to Basket’ button) on their product page. As the first point of contact with consumers, your product page’s title should be as descriptive and structured as possible. To achieve this, you should include some specific elements: brand, product type, key characteristics, extra attributes (material, ingredients, colour, size, style, quantity…). At a maximum of 500 characters, your title should include precise keywords to optimise your ranking in Amazon’s search results. With Lengow’s automatic rules, you are able to define the title fields adapted to the marketplace’s classification. Your product should be shown on an entirely blank background and should take up 85% of the image. The visual should measure at least 1000×1000 pixels (to activate the zoom feature). Note: don’t be scared of changing up the order of your visuals to optimise your page’s performance. And only the main image needs to be free of text. The bullet points allow you to promote your product’s key features and benefits. The list should be quick to read, and as detailed as possible: ideal conditions for use, information on dimensions, materials, guarantees, age restrictions… Use this space to strategically place your keywords near your product. According to Amazon, the bullet points seem to impact ranking more than the description. Note: each bullet point should be presented as a sentence fragment and should never include promotional or pricing information. Your product’s description should not exceed 2000 characters and be rich and attractive. Like the bullet points, it must contain as many keywords as possible as well as as many details as possible including: presentation, benefits, guarantees, etc. Amazon has provided Enhanced Brand Content (EBC) to help retailers with this. It allows you to organise your text in a more attractive way, add images, and promote key elements to make reading easier. 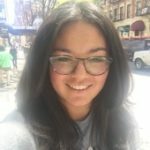 In any event, your product page’s content must be unique to avoid any duplicates. It is also an opportunity for your Amazon product page to go up in other search engines’ rankings. To further try to improve your product’s ranking, you can also add keywords in Amazon Seller Central that are not visible to buyers, but will help in optimising your positioning. Therefore, consider filling in the ‘generic_keywords’ field offered by Amazon. Though rarely used, these keywords can redirect customers directly to your product page during their search. To read > Amazon Vendor Central versus Seller Central: Which service is best for you? On Amazon, the more competitive and adapted to the market your prices, the better your products will be ranked and therefore the more likely they are to sell. Hence the importance of regularly changing your prices according to demand. The tool allows to you quickly and automatically update your products’ prices, without losing time updating them one by one and without needing to reimport anything into your catalogue. If you use the Automate Pricing tool, setting up a rule within our platform would allow you to remove the price field from your catalogue. To find out more, download our Amazon SEO guide. To ensure that your product is offered to the right person, Amazon has a classification system of categories and subcategories that ensures your products are correctly categorised. To do this, Amazon uses the information available in the content of your product page. Amazon provides you with a Product Classifier and Browse Tree Guides to help you identify which categories correspond best with your products. Note: some categories require pre-approval from Amazon before you can sell in them. The rating and reviews left by customers have a real impact on your sales. Therefore, verified reviews and ratings are important variables that have an impact on your ranking. When faced with negative comments, don’t be afraid to reassure your customers and try to resolve any problems they encounter. Having a good click through rate means that your customers found what the product they were looking for. Therefore, Amazon’s algorithm certainly values clicks that led to sales. Hence, the more products you sell, the more promotion you’ll get from the marketplace. 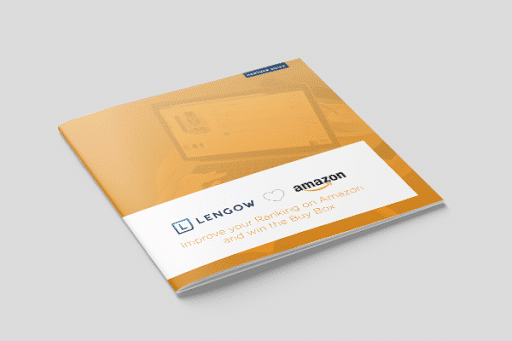 If you want to sell your products on Amazon, you should know that with Lengow you can distribute your products on both the marketplace’s B2B and B2C platforms. By managing your product catalogue within our platform, you can put rules in place that will allow you to put your highest performing products in your catalogue on sale. Finally, know that it is possible to synchronise your Amazon feed indexations with your catalogue’s updates, to synchronise your online shop’s stock with Amazon’s. Note: your orders can be dealt with straight from the Lengow platform. To find out more, download our guide on how to Improve your ranking on Amazon and win the Buy Box.